What a goal of an award, our Engraved Crystal Hockey Puck is a perfect gift for a hockey coach or team mom. 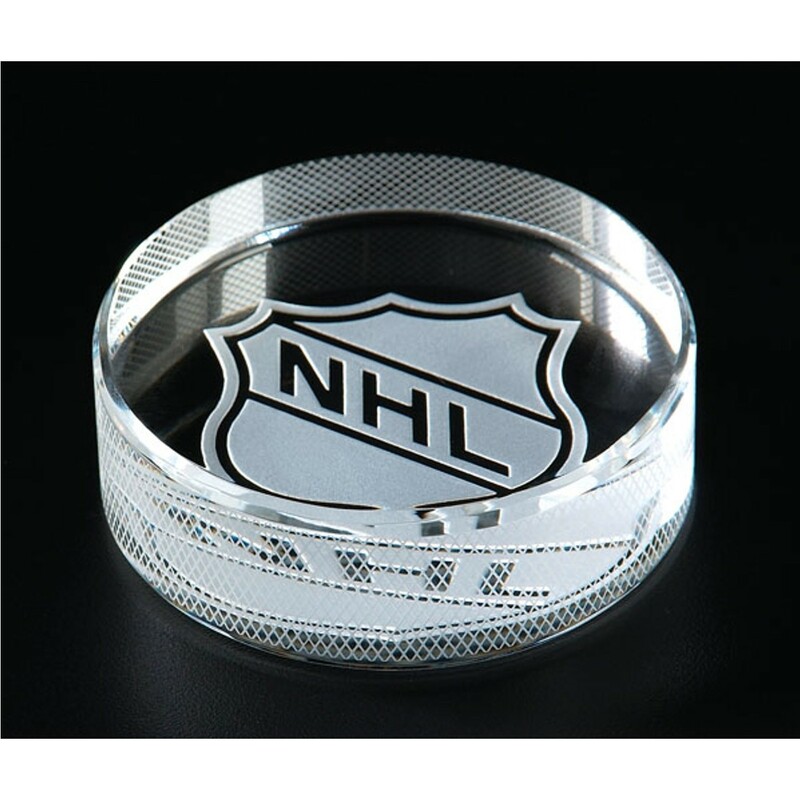 The solid crystal puck comes with sandblasted pattern around the edge. We engrave the bottom side and the image is viewed from the top. This is a great looking desk item! Professional etching and a foam gift box included.